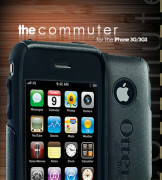 Today, OtterBox announces two new iPhone cases; the Commuter and the Communter TL. The cases are compatible with the iPhone 3G and 3GS. Both seem really sleek. One cool thing I did notice was that the Communter LT case will be available in seven colors (black, blue, green, pink, red, white and yellow) which is unusual for an OtterBox case. Below is a quick description of the new cases (which look really cool), a few screenshots and the full press release. You can check the cases out HERE. •First, a self-adhering screen cover protects from scratches (touch screen remains completely functional). •Second, a silicone skin wraps over the device to protect corners from bump and shock. Dust intrusion is reduced with the use of silicone plugs over audio port and dock connector. •Finally, a smooth one-piece, custom molded polycarbonate shell hugs tightly around the silicone allowing the case to slide easily into a pocket or purse. Looking for a case to sport during the workweek? The OtterBox Commuter Series is the perfect sidekick for a lunch meeting, business trip or workout. A fortified polycarbonate shell wraps around the top, bottom and side grip areas of the case for a sleek feel, which also enables a smooth transition in and out of a purse, pocket or briefcase. 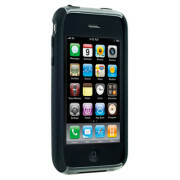 The corners of the iPhone are protected with durable silicone to safeguard against bumps and shocks. Users can also choose between two optional accessory kits; each kit includes three interchangeable colored shell options, coming soon! Fort Collins, COLO. – As an avid iPhone™ user, you exemplify the definition of cutting-edge, but the cool façade will quickly fade with a scratched or dented iPhone. 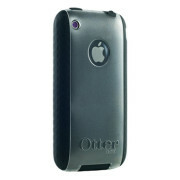 Introducing two new case lines from OtterBox for the Apple® iPhone 3G and iPhone 3GS: the Commuter™ and Commuter™ TL Series. Fusing rugged elements from the Defender™ Series line and sleek characteristics from the Impact™ Series, the Commuter and Commuter TL offer the best of both worlds. Want to individualize your iPhone? The OtterBox Commuter TL Series will be sure to draw attention from every trendsetter in town, available now in black and coming soon in six eye-catching colors. Inner coring along the vertical sides offers added protection and the textured exterior side grips provide an ergonomic feel and stylish detailing. Don’t worry Apple lovers; the logo is safe and protected by a transparent polycarbonate shield. Both Commuter and Commuter TL Series cases come with a microfiber cleaning cloth and installation card for easy application of the self-adhering screen. 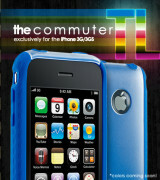 For more information about the OtterBox Commuter and Commuter TL Series, check out www.otterbox.com/iphone-commuter-case-comparison. •Added protection against bump and shock. 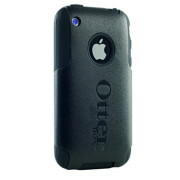 Founded in 1996, OtterBox is highly respected in the design and production of rugged and semi-rugged cases to safeguard technology and other valuables. Just got this case. Absolutely love it!